Communicating with families is one of the most important things teachers can do to ensure student success. When families work together with teachers, students make the most progress in school. 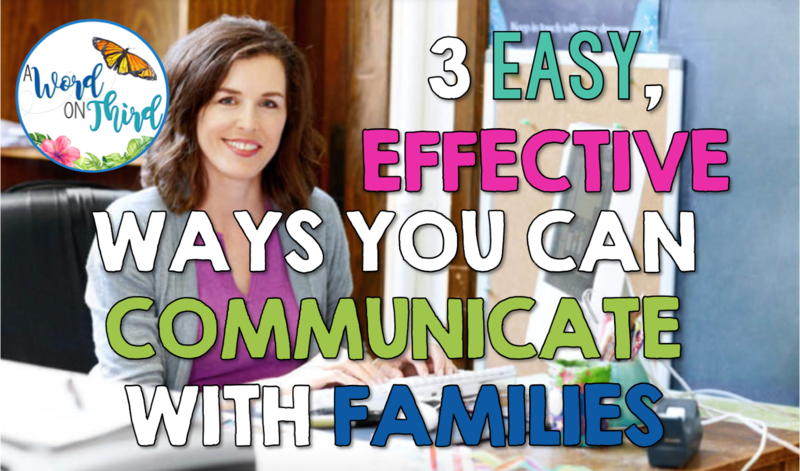 Here are my 3 tried and true tips for making parent communication a breeze. Make sure to check out the links I've provided too. 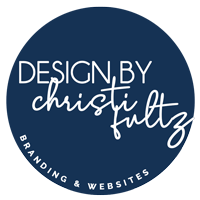 There's lots of freebies in this post! 1. 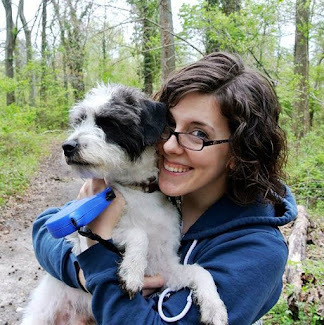 Write a short weekly newsletter. You can easily make one yourself or buy templates on Teachers Pay Teachers. Hear me when I say this is managable, because it SHOULD NOT BE MORE THAN ONE PAGE. Families need something easy and quick to read. Send home a paper and electronic copy if possible. By making it a single page, you can guarantee it won't sit unread in parents' email inboxes. It's not that they don't want to read your newsletter--they are pressed for time! You know how that goes. Here's what a sample of a newsletter might look like. All you really need to include is the date, important reminders and upcoming dates, and a summary of what you learned this week. My students and I write ours each Friday during morning meeting when we reflect on the week. 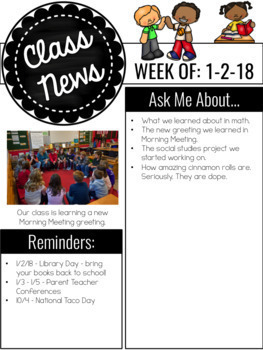 Then at the end of the meeting, when I am transitioning them into their day, I tell them what they'll be learning about that day and add it to our newsletter. This is so important because it allows families to have meaningful conversations about what is happening at school. It prevents families from asking the question, "What did you learn at school today?" and receiving nothing except for their children answering, "Nothing." Because it's a bulleted list, it's easy for the teacher to write. Because I generate my list with the whole class, it's easy for my students to talk about. It's really THAT simple. You can make one on Powerpoint, or you buy mine for less than $2 and have a few different designs to last you all year. Click here or on the picture below if you want to go the time-saving route! If you want to make one yourself, read about how you can craft an effective one by clicking on this previous blog post of mine where I go into detail on how to create one. 2. Have students send home short a reflection every week. At the end of the day on Friday, I have my students fill out a template which helps them to reflect on their week. I like it because it's short like the class newsletter mentioned above, but it's individualized. 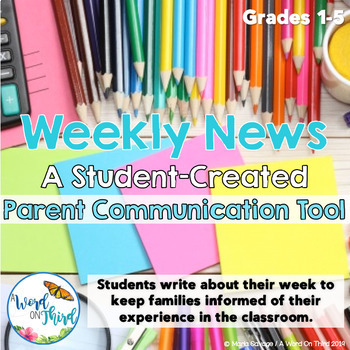 The newsletter gives families an idea of what's going on in the entire classroom, but the reflection is individualized and shows how their child is feeling. What made you proud this week? What's something you want to share with your family? You can start by using the reflection sheet that I use? It's free and it's super fast for students to fill out; it's only a page! I have versions for younger students and versions for older students. Click here or on the picture below to download it. You can use it right away! Did I mention it's free? 3. Send home monthly positive messages. I honestly keep track of this on a spread sheet. It's easy to accomplish because I keep the messages short. If you send one out each month, it doesn't need to be as long. 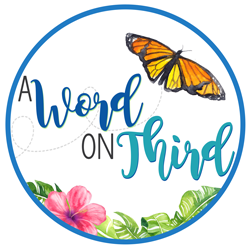 Send home a few sentences in an email (4 or 5 is plenty), a nice text message on the Remind app, or a short handwritten note sharing about a student triumph. If the point of this is to share amazing news with families, you can copy and paste a lot of the same email message. I wanted to reach out to you to share something amazing about (student). Today in school, we were working on (skill/activity). I noticed (student) (awesome compliment). I thought I'd pass along some good news. Have a wonderful day! Now, if you send 4 or 5 a week, that's totally do-able within a month. I find that if I've carefully observed my students, it's really easy to send a few emails out a day. 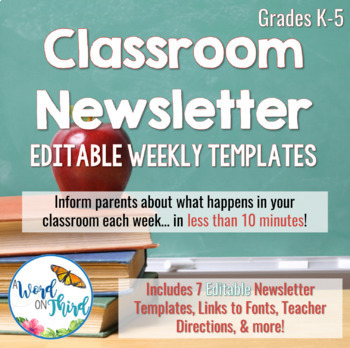 If you notice two students doing something awesome within the same lesson, you have even less of the template to edit when you send out your emails. Pretty easy right? It sounds small, but many small actions add up over time to make a big difference. These are my tried and true tips. 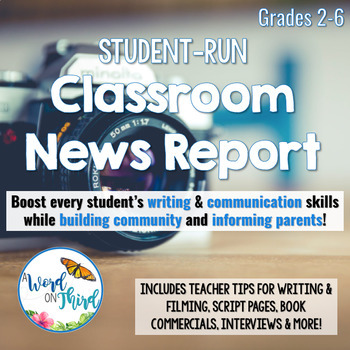 By the way, do you film a news report with your students for their families? Every week or two, my students write and film a news report in one class period. We practice important literacy skills, but it serves a purpose--to inform our families of what we're learning each week! If you are interested in learning more about how you can do this in 40 minutes or less, click here or on the picture below. By the way, fancy editing is optional--NOT mandatory!! And of course, if you haven't already subscribed, we'd love to have you! Join our community by signing up in the box right under my bio to the right. That way, you won't miss any blog posts. I promise not to clutter your inbox! You can also follow me on Instagram for more classroom inspiration.